Paul Wang was one of the two founders of the Database Marketing Institute in 1994. He and Arthur Hughes gave 28 two day seminars in Washington, San Francisco, Toronto, Taipei and Caracas from 1994 to 2000. The top quintile, our Gold customers, are where the bulk of our revenue and profits are generated. We must treat these customers with respect. Don’t, necessarily, market to them. Provide them with super services – service so good that you could not possibly afford to provide it to every one of your customers. The marketing dollars should be aimed at the second, third, and fourth quintiles. To the second quintile, you tell them how close they are to qualifying for Gold. You tell them how wonderful it is to be Gold, and how easy it would be for them to move up. The bottom quintile may actually be losers – with a negative lifetime value. Why try to retain these people? Why reactivate them? Why spend expensive service dollars on them? On the other hand, we need to manage them properly. Maybe some of these bottom quintile people may be young college graduates just starting out in life. They may have very low incomes and no children now, but they have a great life ahead of them with hundreds of dollars of spending during the next forty years. Why alienate them too early? Find out why they are in the bottom quintile. If they have a legitimate excuse and a reasonable future potential, keep them in. Come up with a ROI for each segment. The formula looks like this: ROI = (Lifetime Value of Customers in the Segment) / (Investment in the Customer Segment). In doing this, it is useful to look at three activities: acquisition, retention and reactivation of customers. Each may have different costs and success rates. Using this information, we can determine where to put our marketing dollars. What can typically result? That it’s better to retain customers first than acquire new ones. That the sweet spot for marketing spend in not in the top or bottom but in those that can be influenced by spend to go up to higher quartiles. When making promises, we have to be true to ourselves and to what we represent. Effective marketing is hard work – it’s about doing ordinary things extraordinarily well at all times. Achieving long-term competitiveness requires capitalizing on investment opportunities, not in ability to reduce cost. Marketing approaches begin with either “Who,” “What” or “How.” Traditional marketing starts with “What,” the product. “Who” is the customer; “How” is the process. Differentiation is key. The first level is imitation; the second, improvement; and the highest, innovation. In “Me Too” marketing, 80% of offerings bring in 60% of revenues and 40% of profits. In “Unique” marketing, 20% of offerings generate 40% of revenues and 60% of profits. When facing large competitors, always mislead the enemy, fight on your own ground at your own time, and strike when the moral effect is greatest. With small competitors, never refuse battle or show a sign of hesitation. When you get the enemy on the run, keep him there. Volume is not necessarily driven by price. If value is eroded as prices are decreased, volume will drop. Similarly, providing value innovation will help increase volume even if prices are increased. Value propositions can be emotional, economic or functional. No proposition can fully cover all three. More relevant and unique appeals go all the way on the emotional and functional axes, but only half way on the economic axis. Emotional connections make it most difficult for customers to switch brands. Paul Wang is an associate professor in the Integrated Marketing Communications program at Northwestern University. He conducts executive training seminars at Northwestern and in the private sector. He tries to bridge the gap between information technology and business strategy, to make database technology and interactive marketing more meaningful for businesses and customers. He serves as the Center’s Director of Integrated Market Research. Wang has served as a consultant to a variety of companies interested in strategic database marketing. He speaks frequently at both international and domestic conferences. 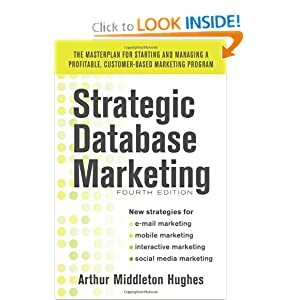 He co-authored the book “Strategic Database Marketing.” He also serves as the technical editor for the Journal of Direct Marketing and is a member of the review board of the Journal of Database Marketing. In 1995, he was the recipient of the Robert B. Clarke Outstanding Direct Marketing Educator Award, presented by the Direct Marketing Educational Foundation of the Direct Marketing Association. Wang received his Ph.D. in communications studies and an M.S. in advertising from Northwestern University.